CCTV Security FAQS: ATMs: All Time money for Fraudsters? ATM's have changed the way we banked. We are now so habitual of withdrawing the money from ATM that ATM agencies are offering newer service by the day to please us. The shear convenience of ATM has made it most popular at places like restaurants, malls, petrol pumps, even highways and deserted places. But with this rising ATM usability comes a bigger challenge for protection of the users and the Banks cash. For fraudster, ATM is indeed becoming all time money! In this feature we are discussing key Issues in ATM Security and some tips that can help you safeguard yourself from the ATM fraudsters. There have been a steady rise in the ATM fruads over the years. ATM frauds are executed by techniques like wire tapping, replicating the digital signature of the card, getting authentic personal data at fake data call centers, tampering ATM slots by rigging, phishing through e-mail accounts and fixing hidden cameras at vantage points inside ATM installations to steal the secret PIN number of the customers. Fraudsters use special devices like skimmers, duplicate ATMs, to withdraw stacks of money from ATMs. There have been several incidences where Stranger have forced people to withdraw cash from the ATM machine using their ATM cards. Our Advise will be to make your transaction as fast as possible. The more time you take inside the ATM room, more vulnerable you become. Also make sure that you do not count the cash in public place or inside the ATM. The cash should be only counted in the car or other secure places. There are also rising incidences of Misuse of ATM card by close acquaintances. It is important to keep the PIN and other account related information confidential. The below mentioned chart defines the type of ATM Crimes. Follow these Tips to avoid being a victim of ATM Frauds or Crime. 1) It is best to use ATM attached to the banks or at places which will be difficult for fraudster to maneuver. 2) Don't save your ATM pin at obvious places like a diary,a mobile phone or at back of a Card. These can be easily accessed by close acquittance. 3) Look for suspicious attachments.Do not use ATM which looks suspicious or tampered with. 4) Change your PIN number regularly and use different PINs for different accounts. 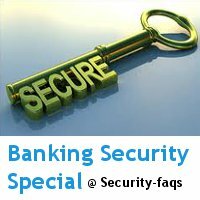 This is a part of a month long series on Banking Security Special @ Security-Faqs. Find other articles over here.